부활 서재혁을 떠올리면 으레 베이스가 연상된다. 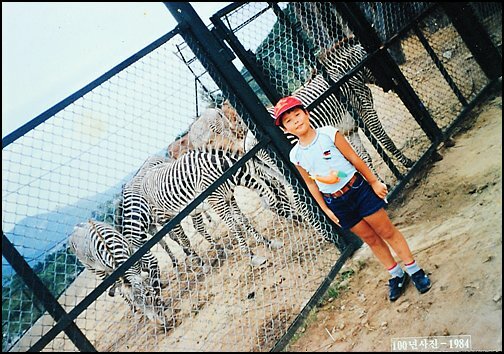 20년 이상을 함께한 악기. 그 애정은 신혼의 달콤함만큼 짙고 강렬하다. 물론 언제나 난기류는 아니다. 최근 전선 상황이 그러하다. 서재혁의 심경에 변화가 일었다. 사랑은 그대로. 하지만 외도의 조짐이 느껴진다. 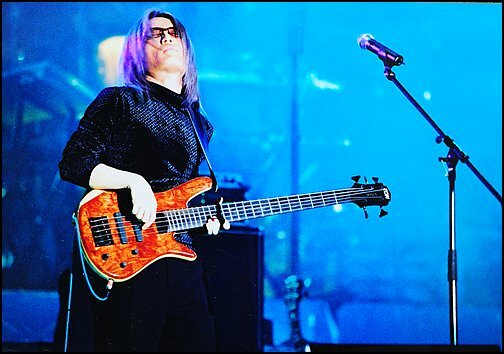 When one thought of Boohwal Seo Jae-Hyuck, bass always comes to mind. A musical instrument he’s spent 20 years with. The affection is as sweet as newly weds, thick and strong. Of course it’s not always turbulent. That’s how it is these days. There’s a change in Seo Jae-Hyuck’s heart. The love is the same as always. But he feels some indication of affairs. 베이스에 쏟는 시간은 점점 줄고 있다. 대신 펜을 손에 쥐고 콩나물을 그린다. 곡선을 그리는 손길을 꽤 부드럽다. 작곡을 시작한 지 어느덧 17년. 베이스의 그늘 아래서 남모르게 실력을 키워왔다. The time he’s spending with bass is decreasing bit by bit. Instead, he holds the pen in his hands and draw bean sprouts (musical notes). The hand drawing those curves is very smooth. It’s been 17 years since he first started composing music. Under the bass’ shades, he developed his skills without others noticing. 곡을 제작한 데는 특별한 이유가 없었다. 음악인이 되려면 당연히 거쳐야 하는 통과의례로 여겼다. 창작은 주로 교회에서 이뤄졌다. 다양한 찬송가를 개발하며 경험을 쌓았다. 열정은 음악을 향한 꿈만큼이나 뜨거웠다. 의경 재직 시절에도 교회에 출석해 곡을 만들 정도였다. There’s no special reason why he writes songs. He just think of it as a passage to be a musician. He writes most of his songs in the church. He gains experience by developing various prayer songs (hymns). His spirit is as high as his dreams with music. Even when he was still in the police school (military service) he almost never skipped church to write songs. 1984년 서재혁이 동물원에서 얼룩말과 코끼리를 배경으로 포즈를 취하고 있다. 의경 전역 뒤 서재혁은 더 많은 곡을 만들었다. TV에 등장하는 가수 포지션처럼 무대에 오르고 싶어서였다. 하지만 제작한 곡은 매번 불만족스러웠다. 찬송가 작곡으로 한정된 악상이 문제였다. 락 발라드는 넘을 수 없는 큰 산처럼 느껴졌다. After discharged from the police service, Seo Jae-Hyuck wrote a lot of songs. Just as singers who appeared on TV, he also wanted to stand on the stage. But everytime, he always felt unsatisfied with the songs he writes. He couldn’t write songs out of the pattern of religious hymn. He felt rock-ballad like a tall mountain he couldn’t pass through. 창작의 기틀은 그룹 부활을 만나면서부터 조금씩 잡히기 시작했다. 발전에는 이중생활의 노력이 숨어 있었다. 베이스를 연주하면서 따로 작곡 공부를 했다. 의문이 생기면 부활에서 작곡을 담당하는 리더 김태원에게 질문을 퍼부었다. 한때 김태원이 바퀴벌레처럼 여길 만큼 공세는 집요하고 날카로웠다. He started to gradually grab of the basis of composition after he met Boohwal. The development was hidden in his hard work living a double life. 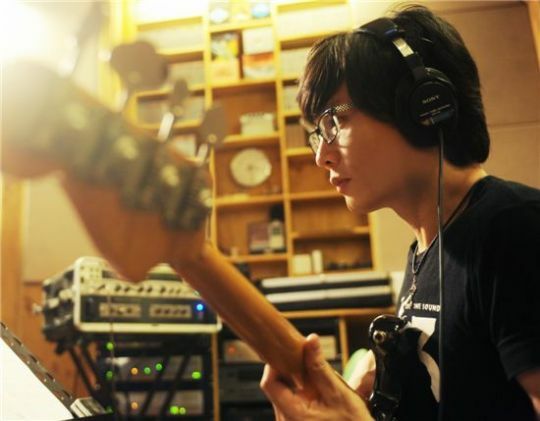 While playing the bass, he separately spends the time learning to compose songs. If he hits a wall, he’d pour all his questions to Boohwal’s leader Kim Tae-Won whose in-charge of song composition. He was so obstinate and keen, that at one point Kim Tae-Won was so annoyed as if he was a cockroach. 서재혁의 성장은 부활이 새롭게 거듭나는 시발이 됐다. ‘노을’, ‘개미’, ‘또다시 사랑이’, ‘섬’, ‘파이란’, ‘오즈’ 등 다양한 장르의 곡들을 제작해 음악 폭을 넓혔다. 특히 2005년 작곡한 ‘노을’은 영화 ‘비열한 거리’의 홍보뮤직비디오에 실리며 많은 사랑을 받았다. 서재혁은 자평한다. Seo Jae-Hyuck’s growth (as a musician) was the start of a new turn for Boohwal. He widen the range of Boohwal’s music by writing songs of different genre,such as “노을” (Glow in the Sunset), “개미” (Ant), “또다시 사랑이” (Love, again), “섬” (Island), “파이란” (Failan), “Oz,” and others. The song “Glow in the Sunset” which was written in 2005, in particular, was inserted in the trailer of the movie “The Dirty Carnival,” and was loved by the public. So he thinks. 서재혁(왼쪽)은 베니와 함께 2005년 상상밴드로 데뷔할 수 있었다. 말 못할 사정으로 계획은 어긋났다. 여러 곡을 앨범에 담았지만 아직 그는 만족감을 드러내지 못한다. 심금을 울릴 수 있는 곡에 대한 욕심이 있다. 그래서 매번 집에서 창문을 열고 한강을 내다본다. 악상을 떠올리는 그만의 방법이다. Although various songs were inserted into Boohwal’s album, he didn’t feel satisfied. He has an ambition about writing a song that touches people’s hearts. Thus he likes to open the window at his house and look down to the Han River. That’s his way of getting inspiration for his music. It was told that the “Godfather of movie soundtracks,” Ennio Morricone, likes to look at the lake when he composes. That’s why he bought a house in an apartment facing to the Han River. 그는 김태원과 같이 귀를 닫지 않는다. 재즈 음악을 들으며 하루의 시작과 끝을 맞이한다. 계속 노래를 들어야 발상도 전환이 된다는 신념을 가지고 있다. 그래서 그는 기대한다. 폭 넓은 부활의 음악세계를. As Kim Tae-Won, he doesn’t limit his ears. He starts and ends his day listening to jazz. He believes that one should always listen to music to be able to create new ideas. That’s why he keeps his hope. For a wide breadth of Boohwal’s music universe. “I tends to get inspirations from young fellows a lot . Sometimes they even surprise me, making me think ‘Wow, you could also make music this way!’ I think it’ll be of help for Boohwal. Since the music I pursue is different with Tae-Won Hyeong’s style, I think it could enrich the width of Boohwal’s music. 부활이 운영하는 카페 ‘코끼리 탈출하다’에서 바람을 늘어놓는 그의 귀는 이날 역시 흐르는 클래식에 쫑긋 세워져 있었다.